Dolly Parton’s half century rise from Tennessee farm girl to entertainment icon has truly been a “rags to riches” story. 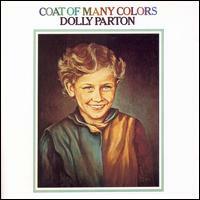 And now the little girl who once wore a coat made of fabric squares sewn by her mother has found the little girl to play the part in an upcoming biopic, Coat of Many Colors on NBC. 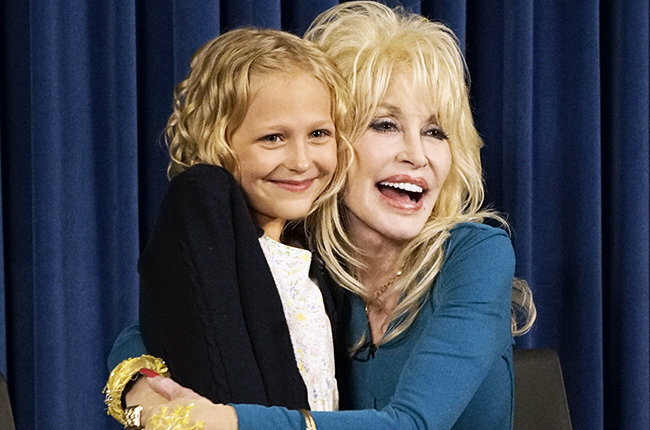 The film is set in 1955, and the actress selected to play the 9-year-old Parton is Alyvia Lind. Though only born in 2007, Lind is already a veteran of the screen, appearing in several television shows including 70 episodes on The Young and The Restless. She recently appeared as Adam Sandler’s daughter in the film Blended, also starring one-time child actress Drew Barrymore. “This is so cool, I’m like still in shock,” Lind said. “I can’t wait to play a little one of this,” Lind said as she pointed at Parton, who had just surprised her with the news. The daughter of actress Barbara Alyn Woods (One Tree Hill) and producer John Lind (Soul Surfer) is the youngest of three acting sisters. Alyvia has already started polishing Dolly’s characteristic Tennessee twang. The actual “Coat of Many Colors” that inspired the 1971 hit song and the movie title still exists, and is on display in the Chasing Rainbows museum at Parton’s Dollywood theme park in Pigeon Forge, Tennessee. No release date has been announced for the NBC movie, which began production in 2015.